The Black Bream (Spondyliosoma cantharus) is Oval shaped in appearance which has a single dorsal fin which runs for around two thirds of the overall body length which has short spines that protrude, It’s normally black and grey in colour with silver strips. The Mouth is very small but has very sharp teeth and a strong jaw which has evolved for crushing shell fish, classed as a shoal fish. Can be found close to the British shores between the summer months of June and September. Bream will take most bait`s but remember they have very small mouths so do not overload as it will mask the hook barb, these fish will take many forms of bait but some of the popular baits for Bream include ragworm, sand eel cut into small chunks, peeler crab, small strips of quid, small pieces of Mackerel strip but other less popular baits can also be used, these fish have evolved a strong jaw for crushing shell fish like limpets and mussels so these can certainly be classed as another bait option. Bream have small mouths so using smaller hooks could increase your catch rate especially when smaller fish are in abundance, try using hooks that are 1/0 and under unless you are targeting larger bream. Keeping rigs simple can be the way to go, 1 or 2 hook flapper rig will suffice, why not try using 2 different baits if using a 2 hook rig, light gear like a spinning rod can be far much more fun and sporting. The black bream is a dark-grey sea fish with tough scales that need to be removed before cooking. It’s not a hugely popular fish so is relatively inexpensive, but it has sweet firm flesh and is delicious eaten whole after being stuffed and baked, or as fillets. Only a quality quality fishing gear, will bring the joy of fishing to you. 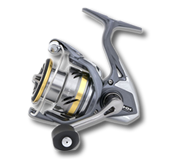 Look for Okuma fishing gear to find equipment taking up very little room and easy to transport.